How are all of you holding up...still working on decor? Good grief, I can't believe that I'm just now finishing up. I did have a houseful of company until Sunday afternoon, if that makes any difference. 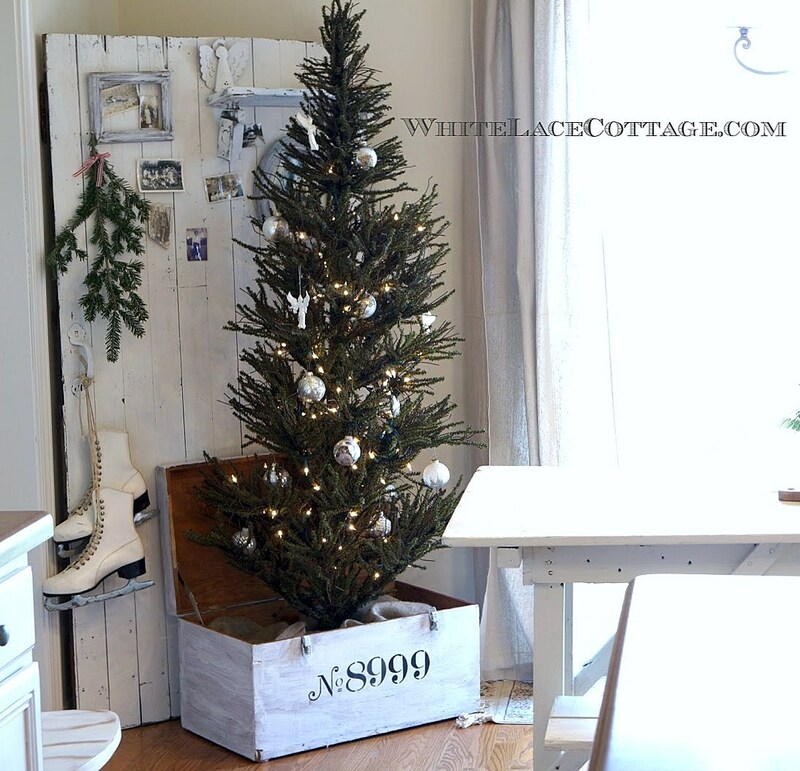 This is always a marathon for me, putting away my oodles of Fall decor and then the big changeover to Christmas. OK, just a few wayward turkeys needing to find their homes under the bar downstairs. So here are the top three links from last week's Vintage Inspiration. It's clear that some of you are miles ahead of me this week! 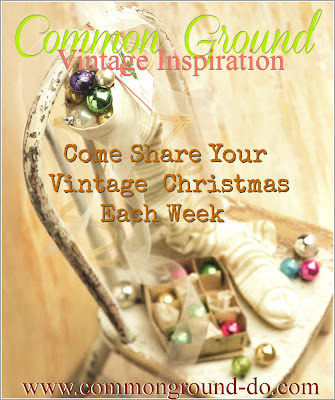 Hope you'll all join in for Vintage Inspiration tomorrow. 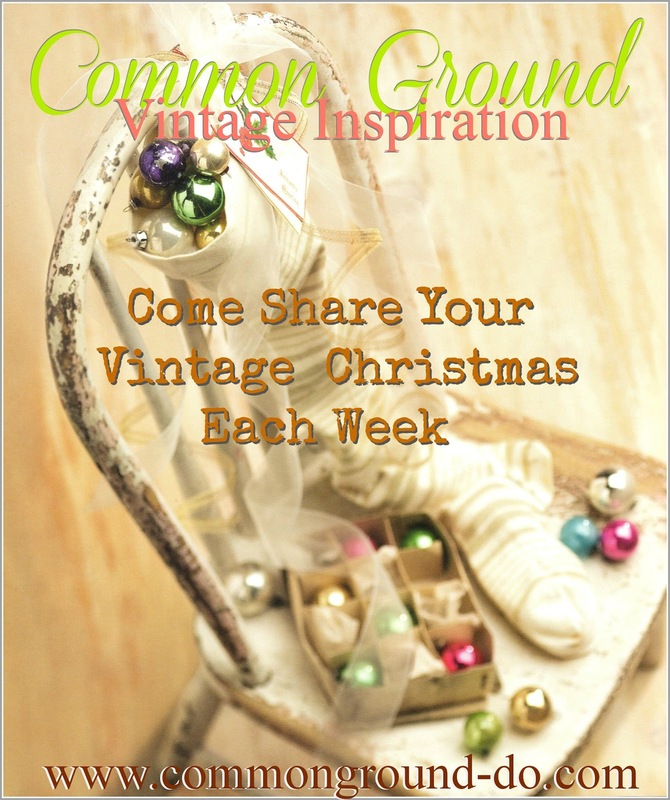 vintage decor, recipes, DIY, and vintage inspired posts. I am so honored to be in your top three links, thank you so much Debra! I am thrilled to be in the top three too, oh gosh, thank you so much. So glad everyone linked the drop cloth curtains, when i first started making them my hubs thought I was nuts. I will be so happy when I tell him I'm not! Well not today anyways! Those burlap curtains are adorable. Great top three! Debra thank you so much! I am thrilled to be one of the top three! All great features! Love those curtains! 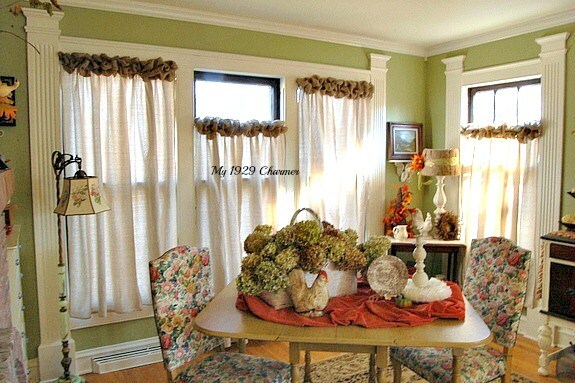 love the burlap drop cloth curtains! Great selections to show us, thank you for sharing! Still in the process of packing away all the everyday decorations. I transform the living dining room.